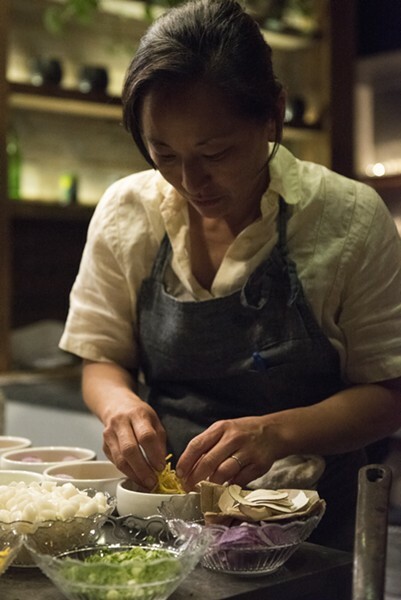 Korean-American pop-up restaurant Nokni was shut down by an Alameda County health inspector a couple weeks ago. 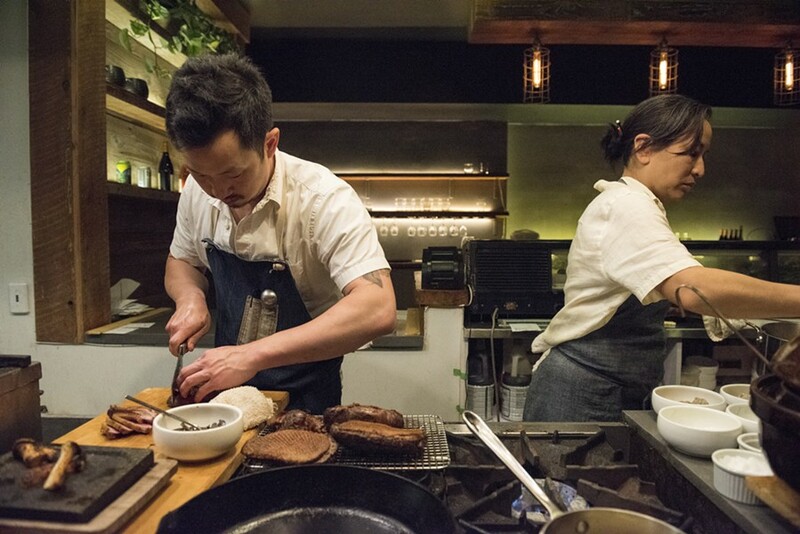 Since Julya Shin and Steve Joo’s Korean-American pop-up restaurant Nokni was shut down by an Alameda County health inspector a couple weeks ago, the East Bay restaurant industry has responded with a mix of shock, indignation, fear, and support. No one realized that the California Retail Food Code doesn’t address pop-up restaurants, making them illegal by omission. And restaurant owners who host pop-ups put their establishments at risk by doing so. Allison Hopelain, co-owner of The Kebabery, which hosted Nokni, said they will no longer have pop-ups at their restaurants for fear of losing their health permit. Other restaurant owners are grappling with their options. From the restaurateurs’ perspective, hosting pop-ups is a matter of community and creativity. Plus, it’s good for business. Huffard has decided to cancel three scheduled pop-ups because she doesn’t want to put her restaurant at risk. She hopes Alameda County will come up with a solution. “When something new is working, lets figure out a way to let it continue to work instead of saying, ‘We haven’t figured out a way to regulate this, so it’s illegal,’” she said. The pop-up firestorm puts the Alameda County Department of Environment Health in a thankless position. The department’s central objective is to keep everyone in Alameda County who eats at restaurants, food trucks, and food booths, safe. Considering the size of the region and the number of restaurants, this is a considerable feat. Currently, 28 inspectors permit about 6,750 fixed food facilities and mobile food trucks. That’s about 241 facilities per inspector, and they try to make it to each establishment twice a year. Willis acknowledged that pop-up restaurants are popular and fun, but asked what if something goes wrong? Pop-ups have been operating unimpeded despite the law because the health department simply does not have the staff for proper enforcement. Willis estimated it would take about a half a dozen more inspectors to find and shutdown pop-ups that are currently operating. As far as establishing a legal permitting system, health officials maintain that their hands are tied because they cannot change California law. Some have cited San Francisco as an example of a burdensome, but established, pop-up permitting process. But according to Mary Freschet, a principal environmental health inspector in San Francisco, the San Francisco Health Department doesn’t actually issue pop-up permits. Instead, the “pop-up” must be a licensed caterer, and the “pop-up fee” of $191 is actually a site evaluation fee: Inspectors make sure the permitted host facility meets certain standards, like having hot and cold water. The health department assumes that the “pop-up” is actually preparing and cooking food in a licensed commercial kitchen and then warming it up at the host facility. Freschet said they don’t process many of these “pop-up site evaluations.” When asked if the site evaluation is a one-time fee per location, so a pop-up could host regular events at the same space, Freschet said that situation had never come up — which is surprising considering how often pop-ups do reoccurring events at the same restaurant. Until now, Bay Area pop-ups and health inspectors have been dancing a decade-long waltz of willful ignorance. With Nokni’s shutdown, however, that waltz has morphed into a depressing tango.